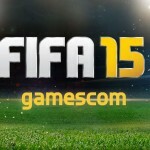 Thursday at Gamescom saw the first official FIFA 15 gameplay appear as Twitch TV interviewed EA Producer Sebastian Enrique. Watch this 32 minute video which shows us real gameplay with Liverpool taking on Manchester City. You get to see the new Team Management in action as well as new animations, awesome grass, Next Gen Keepers, a hint that FUT15 will be in the Demo and plenty more. 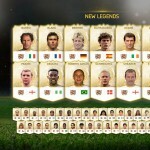 Watch this excellent video and enjoy everything FIFA 15! 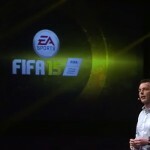 Fast forward video to 05:55:10 to enjoy all the FIFA 15 action. Catch up with all the amazing FIFA 15 news announced so far at Gamescom. Stay with us all week as we will bring you all the latest announcements as they are released.